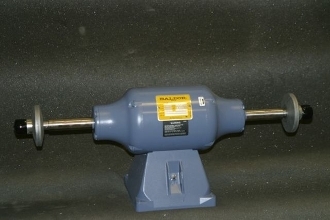 The 410B buffer is designed for buffing medium to large STEEL trim pieces and parts. Rpm is 3600. Use with 10" airway or full disk pads. Recommended compounds are Emery, Green, and Ultra Green. This is our most powerful low cost buffer for steel.